42+ Million Hispanics – or more than 65% of the U.S. Latino population – are online and 87% of user generated search engine queries click on organic search results. It’s not just Spanish anymore. It’s all about relevancy and culture. Hispanics are searching online for your brand. Are you making it easy for them to find it? Target Latino grew my organic traffic by over 1,350% in the first year alone. We surpassed industry competitors who have been on this space for over 10 years on number of visits to our site and on social media presence. Location, location, location. And more location! Is your business in a dark alley or in a bad area of the global village? We can help you place it on 5th Avenue, on Rodeo Drive, on the Champs Elysees and on the Tokyo fashion district at the same time. That’s our approach to Search Engine Optimization. We research and select the best relevant concepts for you to optimize by, align your content and SEO strategy with users’ intent and perform the proper code adjustments and markups for Search Engines to understand your brand. Enabling your website to index higher on all search engines. International SEO or Search Engine Optimization are proactive efforts for achieving top placement on search results for companies, products, services and/or promotions. Ideally these international SEO efforts should land you within the top five search engine results listings. SEO keyword research should be conducted by native speakers who are top SEOs and understand the complexities of the markets and cultures you are after. The image to the left is an example of the many keywords that exist for “popcorn” in the U.S. Hispanic market, Argentina, Brazil, Colombia, Venezuela, Mexico, Chile, and the rest of Latin America. Our linguists can assist you identify all the correct ways your Hispanic online audience is searching for your brand. Target Latino’s search positioning services include SEO (Search Engine Optimization) and SEM (Search Engine Marketing) in English, Spanish and Portuguese, conversion rate analysis and improvement, content development, and social media optimization, among others. Although, we do favor all organic. With over 8 years of experience and success as a national and international SEO company we would be happy to show you some of the results in organic search we have brought to our clients. Reach online Spanish and Brazilian speakers in their home markets or anywhere in the world. Find out how to grab your share of these growing markets. Havi Goffan is a one-in-a-million find. She’s the brightest SEO /Marketer you’ll find, with a keen eye for what works and what doesn’t in the Latino market. She knows the audience in and out, she knows what ticks with it and what doesn’t. Be prepared to be challenged if you want to get the highest ROI for your product or service. Using a language translator may seem like a great shortcut… to your revenues!! Are you missing out on Spanish search visits? Our Spanish SEO services will improve the volume and quality of traffic from online Hispanics to your Spanish websites. Over the next few years, the number of online shoppers in Latin America is expected to grow 20% a year, and business-to-consumer e-commerce revenue is expected to increase to over U.S. $30 billion by 2015. 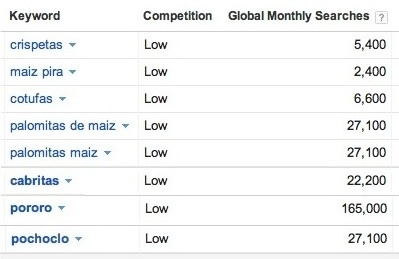 With an average of 173 searches per searcher, Latin America leads the globe in search frequency. Be among the early birds who capitalize on this growing market. Start increasing your brand’s international search visits organically! I want to increase my organic search visits! The online Hispanic and Latin American markets are growing at a faster rate than all others. As broadband and mobile penetration rates increase, so does the number of Hispanics online. U.S.-born Hispanics have a higher online presence. Target Latino offers ROI-driven U.S. Hispanic and international SEO marketing services. Hispanics’ share of visits to the top 500 retail Web sites tracked by Experian’s Hitwise measurement service was 21% higher than the online population in general. A brand’s website may look great and offer great products or services to the Online Hispanic market both in English and Spanish, but what if nobody can find it? This is not just about Spanish SEO. Hispanic Americans search in English and Spanish. A brand needs a top SEO agency that can perform both English and Spanish SEO under a cohesive strategy. We will help you obtain higher rankings in search engines without overwhelming you with technical details, analyze your website and take care of all the important details for better visibility and increased relevant traffic in search engines. Do you want your site to be found? Target Latino, a top international SEO company, can assist you not to miss out on online revenues, assist you with search positioning and increase the number of organic visits to your site! We are a considered one of the best international SEO Companies because our client’s organic search rankings in the U.S. and in Latin America consistently grow. Month after month, year after year, our clients have benefitted from increases in traffic, conversion, and improved search rankings. 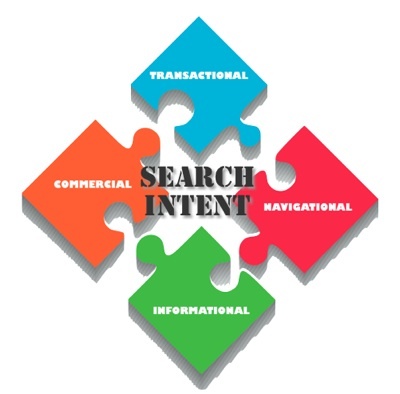 We are a top international SEO company because we adhere to ethics. We only follow the best practices set by Google and other major search engines. We are considered one of the best international SEO Companies because no matter what the changes to the algorithm – even Hummingbird that changed the way SEO was performed for many others – we provide the best search engine results positioning for our client’s relevant keywords. Our track record speaks for itself. After all, as the Spanish saying goes “charity well understood begins at home“, and we are and have been for the past 11 years, a 100% inbound marketing company. Target Latino. An international SEO agency that will show you Google Reports to substantiate what we do for our clients.